The holidays are officially upon us. There may not be snow at my Texas home, but it is certainly snowing on the blog! Readers of the blog will know I usually stick to mystery/suspense novels as my primary genre. At the start of this year, I resolved to read a larger variety of books. I still read a ton of mystery/suspense stories, but I've added a lot more non-fiction, memoirs, horror, and even a few YA/romances to my list. In that same spirit, I've decided to read a few holiday-themed books to round out my year. Kimberly over at Caffeinated Reviewer gave a glowing recommendation to Elin Hilderbrand's Winter Series. Kimberly has never steered me wrong before, so I decided to kick off my holiday reading with the first novel in that series. Winter Street follows the extended Quinn family as they deal with the various dramas of their life on Nantucket. Kelley Quinn, the patriarch of the family used to be married Margaret Quinn, the same esteemed Margaret Quinn who currently anchors the CBS Evening News. Years ago, the couple divorced. Kelley moved himself and their three children away from the hustle and bustle of Manhattan to the decidedly quieter Nantucket. Kelley has since remarried. He along with his wife Mitzi run the Winter Street Inn. The first signs of trouble in paradise arise when Kelley catches his wife making out with the inn's long-running Santa. Mitzi quickly announces that she's in love with the Santa and has been conducting a twelve-year affair with the man. She abruptly leaves the inn, leaving Kelley to pick up the pieces. What is supposed to be a happy time of year soon makes a sour turn as each of Kelley's children are faced with crises of their own. Legally questionable business deals, an unexpected pregnancy, and a love triangle plague each of the children. Kelly and Mitzi's son, the youngest of the Quinn clan, is stationed with the military in Afganistan. This leaves Kelley to try to rally everyone together to have a Merry Christmas. 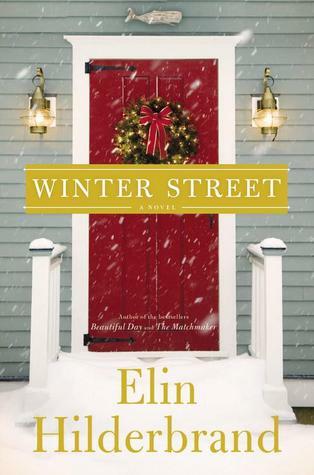 Other than Kimberly's review, I had no real expectations of what to expect from Winter Street of Elin Hilderbrand. I was afraid the novel would be full of the schmaltzy happiness that fills all of those cringe-worthy Hallmark Channel movies. What I got instead was an honest portrayal of family life during the holidays. The novel shifts perspectives to each character as they each deal with their holiday woes. My only complaint is that with so many shifting perspectives we don't really get to see the full depth of each character. There are three more novels in this series, so I'm sure we'll get to learn more about them. For now, Winter Street is a genuine portrait of a family that more closely mirrors the other families of real life than those in the movies or TV. Despite their imperfections, the Quinn family is the kind I can relate to and the kind I'm happy to start my holiday season with. Each year, I eagerly await the release of John Sandford's latest Virgil Flowers novels. The series has become one of the few that I routinely keep track of. There's just something about Flower's off-kilter approach to crime fighting that makes the books must-read events. When I was offered an advanced copy of the eleventh and latest novel in the series, I eagerly accepted. It sat on my "to be read" list a bit longer than I anticipated, but the pages flew by as soon as I began reading it. Typical to the Flower's series, Holy Ghost begins with a bit of an absurd set up. The local mayor of a small Minnesota town is shooting at the pervasive flies in his trailer. He and a couple other citizens are complaining about the downfall of the town. People just don't come here anymore, and the local businesses are beginning to crumble. Then they have a bright idea that is sure to change their fortunes. Weeks later an apparition of the Virgin Mary conveniently appears at the local Catholic church. Just like that, the town's fortunes are improved. People from all over begin flocking from all over for the chance to witness another miracle. The mayor and his friends happened to open a general store of sorts directly across from the church a few weeks before the blessed appearance. Now the entire town is facing a revitalizing windfall. But a lone shooter seems to have it out for the town. A few weeks into the new found prosperity, two people have been shot. Enter Virgil Flowers, the rough and tumble detective for the Minnesota Bureau of Criminal Apprehension. His harder edges have been softened by his girlfriend Frankie. The couple is expecting their first child together, so Virgil is truly starting to settle down. Still, his unconventional methods and everyman personality still help him to solve the "hard ones". As the Virgil arrives in town, the shooter claims his first fatality, and the urgency of the case intensifies. The livelihood of an entire town depends on him. 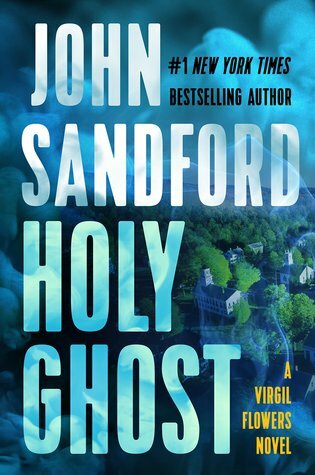 With Holy Ghost, author John Sandford continues to fire on all cylinders with this series. He perfectly mixes engaging characters with a gripping mystery. Unlike many of the previous novels, the identity of the villain in this one is kept secret throughout. There was a heightened thrill in discovering the bad guy with Virgil. I've been a bit worried about the development of Virgil's personal life in the past few books, but I think his relationship with Frankie has grounded him in a way that has only made him more relatable. Holy Ghost is a novel in a fantastic series by an author who is at the top of his game. I can't wait to read the next one! I'll never forget the year my middle brother broke his arm. We were at an aunt's house for a Sunday lunch. All it took was a bunk bed and a little too much horseplay. What should have been a fun-filled summer of swimming and beach going was halted by an enormous plaster cast that extended from his wrist all the way to his shoulder. Ever the optimist, my dad canceled our beach vacation, piled us into the family car, and drove us to Houston to tour the Johnson Space Center. It was a summer vacation that I'll always cherish. Years later, I find myself living in the city that was the home to the famed Mission Control for all of those years. With the privatization of space travel, the once vibrant hub of exploration has become a mere vestige of its former self. The large facilities that housed a myriad of training sequences and high-tech equipment for astronauts have given way to simple museum exhibits that don't really capture the real magic of what used to be there. Fifty years after the first manned mission to the moon, we must turn to books to try to grasp the enormity of that history. 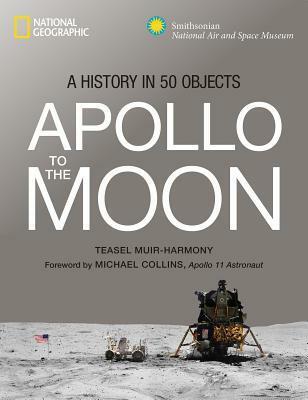 In Apollo to the Moon: A History in 50 Objects, Teasel E Muir-Harmony takes on the daunting task of chronicling the history of that famous space mission. The book focuses upon 50 specific objects. Each one is accompanied by vivid photographs, first-hand accounts, and detailed descriptions of their origin/significance. There isn't an overarching narrative to the presentation of the objects, which can sometimes make the book more of a textbook than narrative history. Still, the focus on the people behind the project gives a human touch to the sprawling mission and the objects. While a book can never truly provide the same experience as seeing historical artifacts firsthand or witnessing the history unfold, this one does a fine enough job in relating the events and massive effort of the space program. For more information, visit Goodreads and Amazon. This review is part of a TLC Book Tour. See the full tour schedule here. Released in 2005, author Steig Larsson's The Girl with the Dragon Tattoo became an internationally best-selling novel that launched a franchise that still excites readers to this day. The original trilogy of books quickly inspired a Swedish film adaptation. Hollywood quickly took notice and hired acclaimed director David Fincher to helm an American remake of the first film. 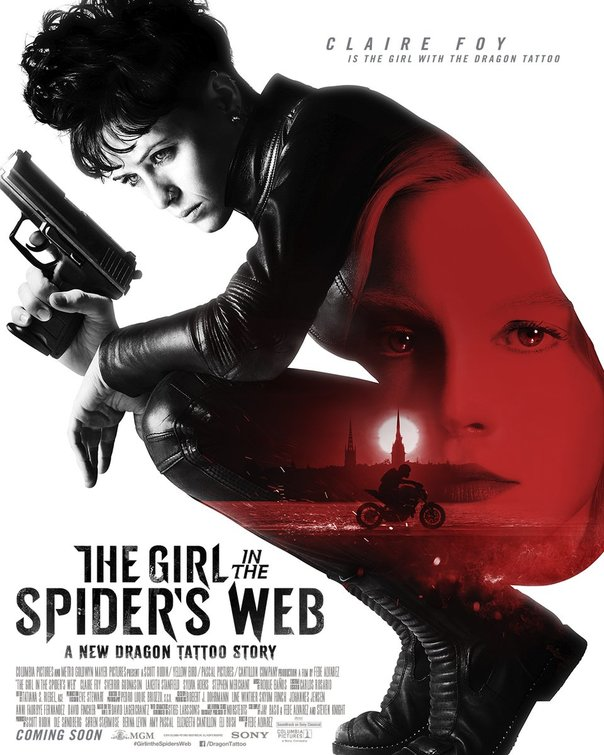 Despite solid reviews and a breakout performance by Rooney Mara as Lisbeth Salander, adaptations of the rest of the novels never materialized. Fast-forward to today and the release of The Girl in the Spider's Web. The movie is based upon the fourth book in the series, the first to be authored by David Lagercrantz following Larsson's death. It has been described as both a sequel and "soft reboot" to Fincher's 2011 film. With a completely new cast and director, I wasn't really sure what to expect. Still, I enjoyed the novel enough to give this new version a fair shot. After a flashback to Salander's childhood and an opening credits that rivals some of the best from the James Bond franchise, we immediately are given a glimpse at what Salander has been up to all these years. Claire Foy, who takes over the role from Mara, immediately shows she's not playing around. We see her discipline a man who regularly beat his wife. She hangs him from the ceiling, transfers all of his money to his wife, and tasers him. It seems the same kind of justice that Salander regularly doled out in the earlier books and movies is still commonplace. The movie soon mirrors the plot of the novel as Salander is tasked with hacking into the American NSA to retrieve a file with cataclysmic stakes. The file has the potential to give a single user the control of the world's complete nuclear arsenal. Its creator, Frans Balder, has realized that no one should have this kind of power. Now Salander must steal it and protect it and its creator at all costs. It is hard to judge The Girl in the Spider's Web purely on its own merit. The whole time I was watching it, I kept comparing it to the movies that have come before it. Fair or not, this latest adaptation will forever be woven into the fold with the rest of the books and films. Director Fede Alvarez, best known for his breakout hit Don't Breathe, directs the action beats in a way that is both exciting and easy to follow. Like the novel that it is based on, the film focuses more of its attention on Foy's Salander than Mikael Blomkvist, played here by Sverrir Gudnason. The movie assumes the audience will have some familiarity with the stories that have preceded it, even referencing events from the two novels that have yet to receive American adaptations. My afternoon showing of the film was sold out, giving me hope that more movies will follow this one. While I'm not sure I liked The Girl in the Spider's Web as much as I liked Fincher's take on Dragon Tattoo, I wouldn't mind seeing more from this cast and crew. The film is not as meticulously composed as Fincher's version, but Alvarez brings a grit, modernity, and suspense that can't be denied. There are two previous novels by Larsson and a new one by Lagercrantz, so the potential for a sequel is definitely there. Salander's character is even more relevant today with the rise of the #MeToo movement, so I could easily see more of these movies making a wave in the future. Simon is a normal teenage boy. He's beginning his senior year in high-school and is starting to seriously consider his future. He's caught in that in-between moment of wanting to enjoy the last bits of his final school year and also looking toward the unknowns that his future may hold. Beyond the normal challenges of those teenage years, Simon faces an even more isolating obstacle. Simon has begun to accept the fact that he is gay. In Simon vs. the Homo Sapiens Agenda author, Becky Albertalli presents an honest depiction of a young gay man coming to terms with his sexuality. She deftly handles the subject matter by placing the central story amidst a clever mystery. Simon has discovered another gay boy through the school's news page. The two have started an email correspondence that has allowed both boys to discover their sexual orientation in a safe space. It is nice to know they are not alone in their struggles. After weeks of back and forth, Simon is beginning to fall for the other boy. There's only one problem. The two are still communicating anonymously. Simon's secret is threatened when he accidentally leaves his email logged in on one of the school computers. Another student reads Simon's anonymous exchanges and threatens to reveal his secret. The two reach a compromise. In exchange for the other boy's silence, Simon will do everything in his power to help him score a date with his best friend. 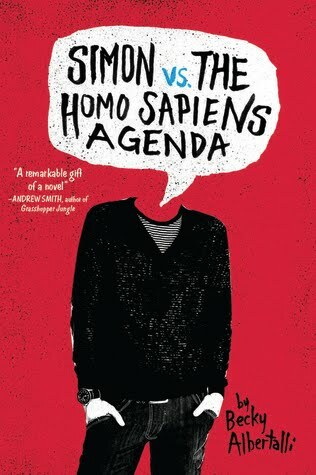 Simon vs. the Homo Sapiens Agenda breathes fresh life into the YA genre in a couple of unique ways. First, even in 2018, it is rare to have a novel featuring a protagonist who is part of the LGBTQ community. Albertalli crafts a character who not only serves as a vital piece of representation but also a character who comes off as an honest and genuine senior in high school. As someone who has faced a similar journey as Simon, it was nice to have this representation presented in such an honest way. Albertalli further separates her story from the tropes of the genre by cleverly presenting it through a mystery. Discovering the identity of Simon's anonymous pen pal is as much a part of the novel as his own inner self-discovery. In the end, the novel serves as a lovely reminder that we all are facing our own little internal battles. Despite our differences, we are all in this world together, facing similar struggles and triumphs. It's pretty great to have a book remind us of these things.